Here we have a wall mounted cue racks. 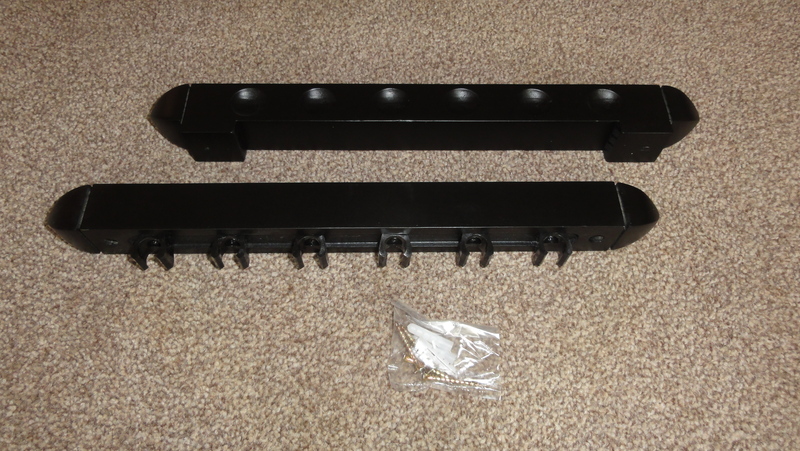 We Believe that these cue Racks are great addition to your home or games room. 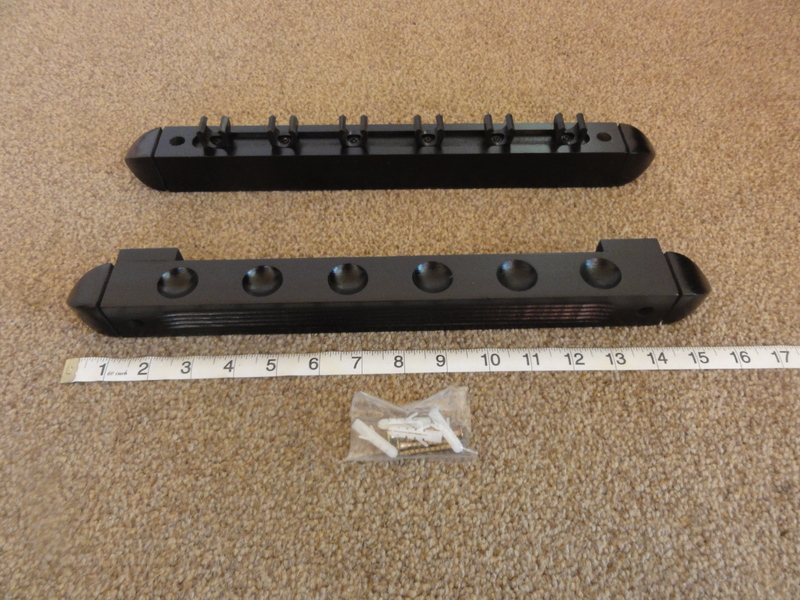 The Wall Mounted cue rack hold 6 Pool or Snooker Cues. It includes the screws and raw plugs and is easy to fit. It is ideal for Games room or even the dining room wall.